Although energy efficiency is important all year, colder temps and the prospect of an uncomfortable home make energy efficiency a priority for many homeowners. Proper insulation levels can keep you warm and reduce your energy bills. Attics are one of the biggest culprits when it comes to winter energy loss, so prep yours for winter by upgrading your insulation now. And don’t forget about air sealing your attic! Air sealing your attic is an important energy upgrade. 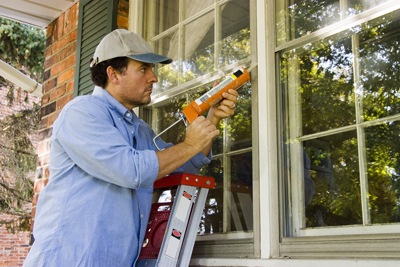 Sealing around windows and door frames can help prevent heat from escaping. Sealing around windows and doors is a very inexpensive project and easy to do! Your HVAC system works all winter. When your heating system is properly maintained, it will run more efficiently, last longer and have fewer problems. Servicing your system now will help make it through any unexpected cold snap. Make sure your roof is in good shape. Inspect for missing and/or loose shingles. Addressing these issues now will help keep winter weather out of your home. This is so easy – and so many homeowners forget to do this! Change the direction of your ceiling fan to create an upward draft. This redistributes warm air from the ceiling down into your living area (tip: before you do this, dust the blades). Addressing just these few areas of your home can increase your home’s comfort and decrease your energy bills. Ready to get started at the top of the list by upgrading your insulation? Contact us today for a free insulation estimate. 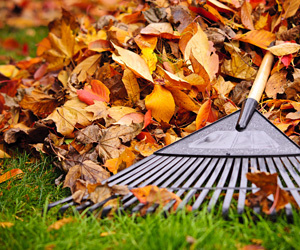 When temperatures begin to drop, it’s time to get your home ready for winter. Here’s a quick checklist to keep your house—and property—in peak condition this winter. Old and inefficient windows leak conditioned air. Switch out your window screens for storm windows—if you have them—before the frigid temps kick in. This swap will save you money on energy costs, protect your window from the elements, and eliminate drafts throughout fall and winter. Check the pilot light, vacuum excess dust, and change the filter. Heating systems will use fuel more efficiently, last longer, and have fewer problems if properly serviced. While you’re at it, get your wood stove and fireplace in working order. Pay special attention to your wood stove or fireplace insert’s door gasket to ensure a tight seal. Servicing your system now will help make it through any unexpected cold snap. Air sealing around windows and door frames helps prevent heat from escaping. Caulking and sealing these openings is one of the least expensive maintenance jobs you can do. If left undone openings in the structure can cause water to get in and freeze, resulting in cracks and mold buildup. Need more help than a tube of caulk? We can help! Make sure the roof is in good shape. Inspect for missing and loose shingles. Look for trouble spots now instead of in a few months when ice, rain, snow, and wind wreak havoc on existing problem areas. While temperatures drop outside, you can still stay warm and keep your energy bills low with proper insulation. Attics are one of the biggest culprits when it comes to winter energy loss, so prep yours for winter by upgrading your insulation now. Change the direction of your ceiling fan to create an upward draft that redistributes warm air from the ceiling. 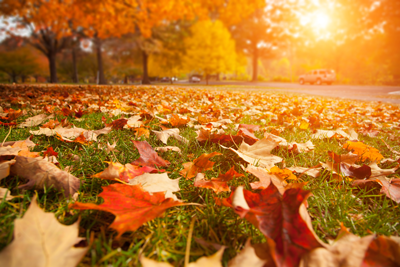 Fall is also a good time to prep your humidifiers. Be sure to clean them regularly during the heating season. Bacteria and spores can develop in a dirty water tank resulting in unclean moisture misting out into your room. Energy Star estimates 10% savings on annual energy bills. We can help. Call today for a free estimate.